Product information "Sunwood Ridge Cresting"
Attractive, Classic cresting for use with Sunwood Timber Glazing System's conservatory Ridge and Finials. Long-lasting, tough aluminium cast with durable powder-coated finish that is low maintenance and will look great year after year. 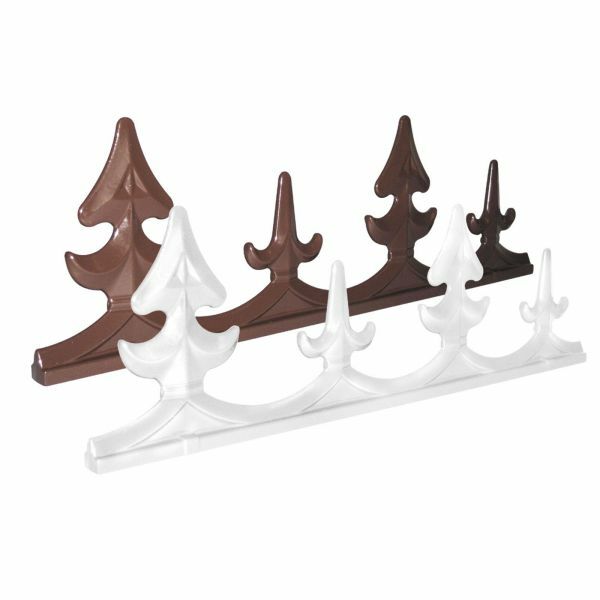 Can be used with any design of Sunwood Finial for a Ridge that'll compliment any conservatory roof. The Sunwood Timber Glazing System is widely used as a capping solution to seal problem leak areas and to breath a new lease of life into existing timber conservatory roofs. However, Sunwood is equally effective in new instalations too, offering attractive, low-maintenance and long-life capping. Fitting conservatory ridge cresting has never been so easy! Just slide the individual sections of Sunwood Cresting into the Cresting Channel on the Sunwood Ridge Top Cap. Related links to "Sunwood Ridge Cresting"
Customer review for "Sunwood Ridge Cresting"